The 007 Bond Band is one of America's most versatile, prestigious and sought after musical groups. Join Band leader Mark and his fabulous team of musicians as they perform classic James Bond themes and more to give your guests the ultimate James Bond experience. Based out of Orlando Florida, they are AVAILABLE FROM 3 to 12 PIECES, with male and female vocals, the Bond horns and rhythm section. The 007 Bond Band specializes in corporate entertainment, charity galas, private parties and casino theme events. 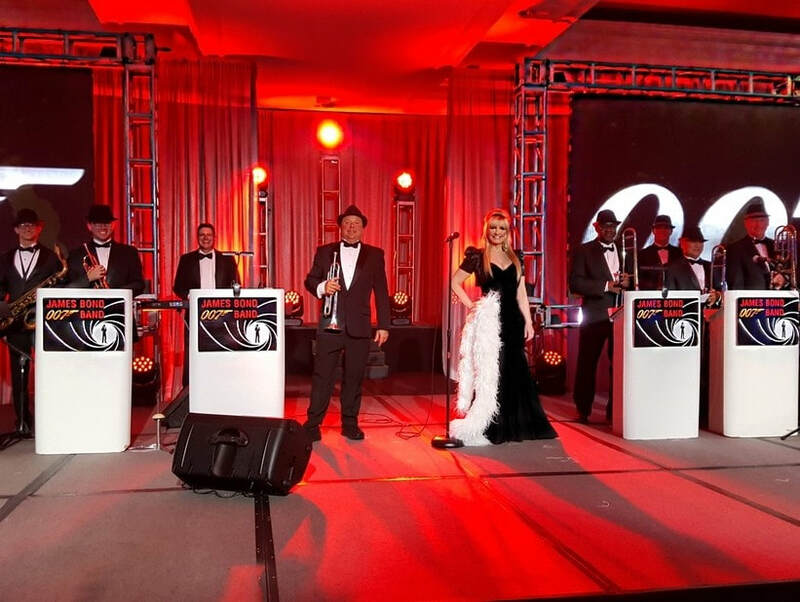 Not only do they perform all of the James Bond themes, but they play Swing, Jazz and can transition into Rock, Pop, R&B and hits from the 80's to today to pack the dance floor. well as additional dance floor lighting. Their visual is stunning, with the James Bond logo on their bandstands, to add to the James Bond theme. Whether your event is intimate or large scale, 007 Bond Band delivers the ultimate Bond experience. The 007 Bond Band features Band leader, trumpet player, vocalist Mark along with vocalist Kathy. Together, they surrounded themselves with some of America's top musicians to create the ultimate James Bond musical experience. The musicians in the 007 Bond Band are professional musicians at Disney World Magic Kingdom. The band is Fully insured, which most venues require. 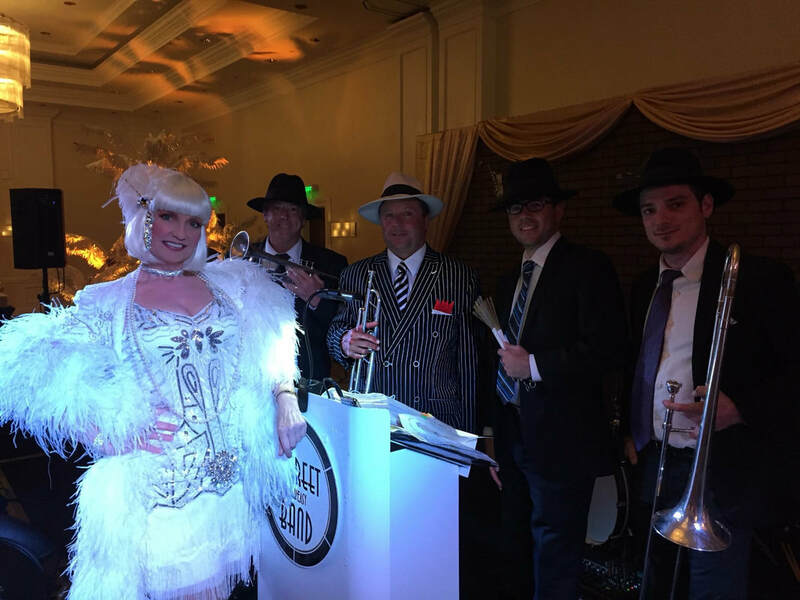 Performing over 140 events annually, Band leader/trumpet player Mark and his bands are preferred vendors for Walt Disney World, Universal Studios, Disney Cruise Lines aboard the Disney Dream, and frequently perform at The Breakers in Palm Beach, the Kravis Center in West Palm Beach, the Four Seasons Resort Orlando, the Ritz Carlton, and many more. Their bands have opened for Sting Taylor Swift, Howie Mandell, and Montel Williams. 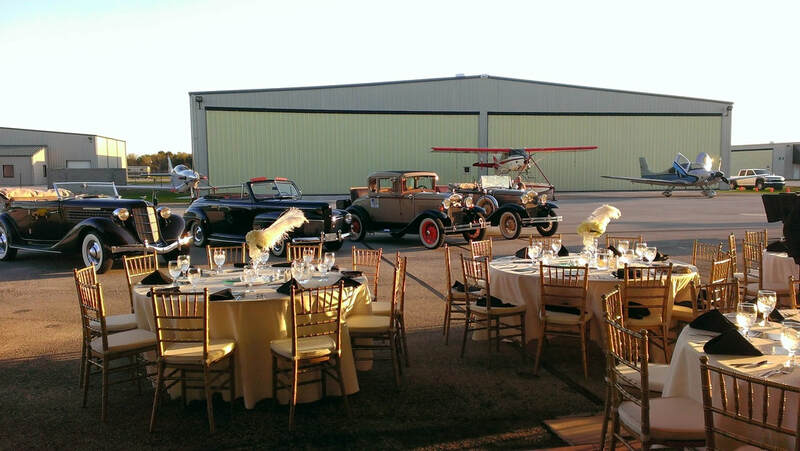 They've performed for Ed McMahon, Hulk Hogan, Norman Swarzkopf, and Fortune 500 Corporations including corporate events for McDonalds, HGTV, Macy's Cisco, and the prestigious INC. 5000 Gala Awards. The musicians in Marks 007 Bond Band also perform at the Walt Disney World Magic Kingdom. The band is based out of Orlando and is part of Band Source Productions, Inc. and are available throughout the continental United States. Join Mark and his team of fabulous musicians that for an evening of Bond music, martini's (shaken, not stirred) and more. 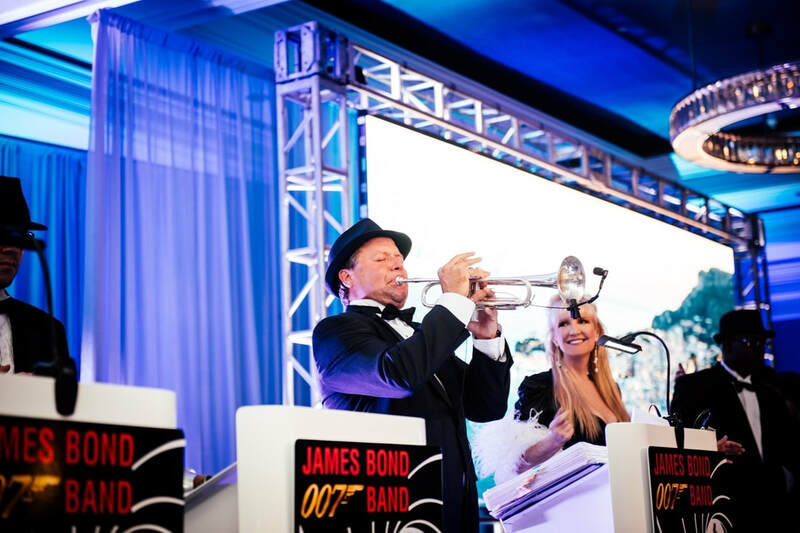 James Bond band is available for James Bond theme events and perform as a James bond theme band, 007 theme band, James Bond band Orlando, spy theme band Orlando. Orlando Bond 007 Band, Florida James Bond Bond 007 Band, James Bond 007 Band Florida - James Bond 007 Band Orlando - Florida James Bond 007 Bands - Orlando James Bond 007 Bands - James Bond 007 band - 50s band, 60s band, Sarasota - Tampa - Palm Beach - West Palm Beach - St. Petersburg - St. Augustine - Jacksonville - Amelia Island - Miami - Central Florida - South Florida - Naples. James Bond theme Party entertainment | James Bond 007 theme Party entertainment | James Bond 007 Theme parties | Theme parties | James Bond | 07 | Orlando | Florida. James Bond theme band Orlando, 007 theme band Orlando, Spy theme band Orlando, James Band entertainment Orlando, James Bond, Band Orlando.